WITH club lists all but settled for the 2019 season, AFL.com.au reporters have tackled the big task of picking the best 22 for each team for the opening round next season. Players suspended for round one, or who have long-term injury concerns likely to keep them on the sidelines early in the season, have been left out of the sides. They are denoted with an asterisk in the following lists. TEAM EXPLAINED: Set to receive a big boost to the midfield with Brad Crouch back training after missing all of 2018 with osteitis pubis. His combination with brother Matt, Rory Sloane, Bryce Gibbs and Hugh Greenwood will allow Paul Seedsman and Rory Atkins to work on the outside. David Mackay and Cam Ellis-Yolmen will consider themselves unlucky to miss with the Crows’ onball depth strengthened this off-season. A fit Taylor Walker in attack with Josh Jenkins and Tom Lynch will offset the loss of Mitch McGovern with second-year forward Darcy Fogarty close to selection. Kyle Hartigan’s delayed pre-season ensures Jake Kelly should have first rights to the last spot in defence with Tom Doedee now a lock. Daniel Talia has undergone knee surgery, and although he’ll be in a race against time for round one, is a walk-up start when fit. TEAM EXPLAINED: After having a relatively settled outfit in 2018, the addition of some off-season recruits should ensure genuine competition for spots. While Chris Fagan wants more speed in his backline, no-one is jumping out of the pack to provide that just yet, although Zac Bailey‘s inclusion on the bench is designed to fill that need. Josh Walker finished 2018 strongly and can play as a back-up ruck to Stefan Martin, although Marcus Adams has been lured for a reason and will have designs on that spot. Lachie Neale comes in to replace departed Dayne Beams, while Lincoln McCarthy‘s inclusion is very much dependent on his fitness. Rhys Mathieson and Allen Christensen are desperately unlucky to miss out and could easily force their way in. TEAM EXPLAINED: Nic Newman‘s arrival will help to offset an ACL injury that is likely to rule out co-captain Sam Docherty for the majority, if not all, of 2019. Lochie O’Brien will likely play off half-back, though the Blues have also trialled Sam Petrevski-Seton in that role. Alex Fasolo and Mitch McGovern find positions up forward, while Will Setterfield adds a bigger body into a light midfield. Sam Walsh narrowly edges out fellow first-round draft pick Liam Stocker for the final place in the team, while Tom Williamson returns and goes ahead of Liam Jones on the bench to add flexibility to the side’s backline. Jack Silvagni, Jarrod Pickett, Tom Bugg and David Cuningham will likely be the first in line for a recall from the reserves. TEAM EXPLAINED: Selection was a difficult task given the strength of the Pies’ list and the fact there is still much to play out in terms of players coming back from injury. The key inclusions are returning star Dayne Beams, hamstrung pair Darcy Moore and Jamie Elliott, both of whom are training strongly after a fact-finding trip to Germany, and veterans Lynden Dunn (knee) and Daniel Wells (foot), who are also on the comeback trail. Dunn is aiming for round one. Among the desperately unlucky omissions are Grand Final players Tom Phillips, Tyson Goldsack, Chris Mayne, Levi Greenwood and James Aish, while flexible ex-Bulldogs big man Jordan Roughead was also close. Given a full list to choose from, the Pies would have a luxury of riches for their season-opener against Geelong. TEAM EXPLAINED: It is a strong line-up on paper for the Bombers if they can get a full list available for next year. 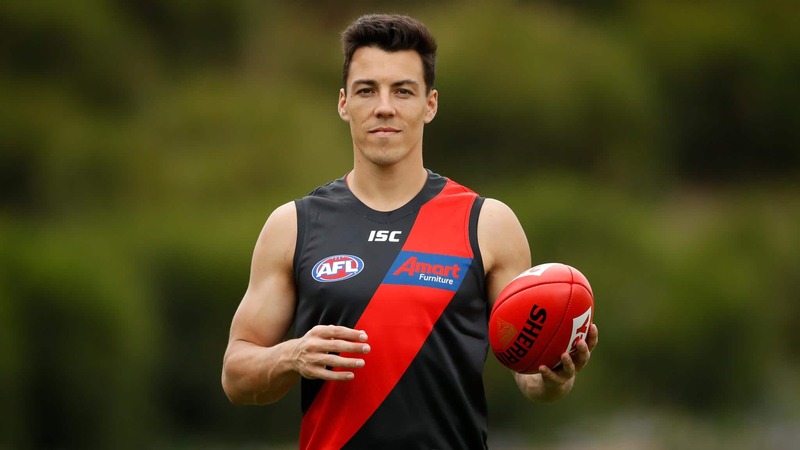 Their forward half is powerful and dangerous, their back line has key pillars and plenty of pace, and their midfield has been bolstered by the arrival of Dylan Shiel. 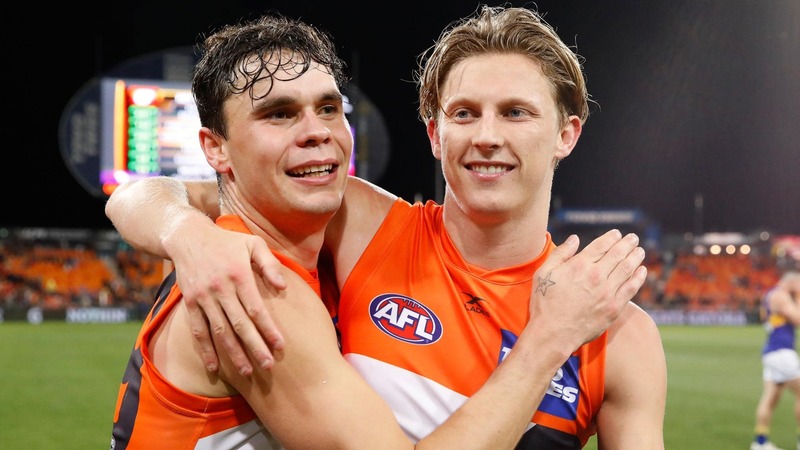 Shiel is the only new face in the best 22 from last year as the Bombers’ star recruit, while Jayden Laverde may be considered one of the more unlucky players given his three-goal finish to 2018 and explosiveness when fit. TEAM EXPLAINED: Settling on the best mix of talls is a challenge. In this team, Aaron Sandilands still gets the nod to lead the ruck over Sean Darcy for round one, although that should change at some point in 2019. Griffin Logue is coming back from a year ruined by injury but the former No.8 pick needs to play and slots in as a third tall defender, with Brennan Cox edging out Matt Taberner and Cam McCarthy to support boom goalkicking recruits Jesse Hogan and Rory Lobb due to his versatility and upside. Stephen Hill will miss a big chunk of pre-season running after quad surgery, so isn’t picked for the season-opener, and mature draftee Brett Bewley is handed a debut after impressing with his running power so far this summer. TEAM EXPLAINED: Veteran Harry Taylor was forced to fight for his spot late in 2018 and with the emergence of Jack Henry and Mark Blicavs in defence, the dual All Australian misses out. A larger than expected rehab group featuring Lachie Fogarty, Jordan Cunico and Nakia Cockatoo has them behind the pack for round one action. As a result, Jake Kolodjashnij holds on for now, despite a fight on his hands to maintain his spot with first-round draftee Jordan Clark to be in consideration once he’s overcome illness. Gary Rohan and Luke Dahlhaus’ early form on the track this pre-season gives them first rights to the small forward roles with Quinton Narkle’s growing tank propelling him into the frame. TEAM EXPLAINED: Following the departure of Tom Lynch and Steven May and the Suns’ list overhaul, there’s plenty of question marks over the 2019 team. Off-season recruits Anthony Miles and George Horlin-Smith should win spots to help a young midfield, while Jack Hombsch will face a stiff challenge from Sam Collins to decide who will partner Rory Thompson as the second key defender. The midfield is deep, if a little inexperienced, and Will Brodie is just squeezed out here, but if Stuart Dew wants to keep promoting youth at all costs that could change. The forward line is a tricky balance. We’ve squeezed in Izak Rankine, which means a shift for Alex Sexton to the wing after a successful 2018 in the forward half. Jordan Murdoch is unlucky to miss out. TEAM EXPLAINED: The backline picked itself with a fit Zac Williams allowing Lachie Whitfield to go back to the wing, where his running power helps offset the loss of Dylan Shiel. Don’t be surprised if Williams and Whitfield, along with Adam Kennedy, swap roles at times. Stephen Coniglio resumes his role starting forward, with youngster Tim Taranto good enough to be given a place in the number one midfield, with that pairing also able to switch to suit the team. The bench gives great flexibility, while Jon Patton misses out as he recovers from his ACL surgery. Shane Mumford‘s two-game suspension means Dawson Simpson starts in the ruck. TEAM EXPLAINED: Star recruits Chad Wingard and Tom Scully fit the Hawks perfectly, with midfield depth to support Tom Mitchell, Jaeger O’Meara, Isaac Smith and Liam Shiels the No.1 need. Wingard also adds class up forward. Scully is unlikely to be ready for round one in his recovery from a seriously injured right ankle, so Ricky Henderson probably remains in the team at least until then. James Frawley, Ben Stratton and former skipper Jarryd Roughead still have big roles to play in the key posts despite their advanced age. This is quite an old team and big change could be on the horizon, but there is promising youth in the best 22, as well as pushing for places, such as Mitch Lewis, Dylan Moore, James Cousins, Oliver Hanrahan and ex-Sun Jack Scrimshaw. TEAM EXPLAINED: The most noteworthy part of this team is the decision to play Braydon Preuss in the same side as All Australian ruckman Max Gawn. Preuss has impressed with his tap work and his ability to challenge Gawn in pre-season training. Given Port Adelaide, the Demons’ round one opponent, seems likely to pair Paddy Ryder and Scott Lycett, it will be an option that the Demons seriously consider. Aaron vandenBerg is also extremely unlucky to miss, but shoulder surgery in the off-season has prevented him from reaching top form and kept him in the rehab group prior to Christmas. Given I have picked Joel Smith, who has been training as a forward so far this pre-season but can play in all areas of the ground, the other player that vandenBerg could viably replace might be second-year youngster Charlie Spargo. *Lever won’t be ready to play in round one as he returns from a ruptured anterior cruciate ligament injury in his knee. TEAM EXPLAINED: Barring injury, North’s team mostly selects itself. Robbie Tarrant and Majak Daw provide the height and marking in defence, meaning Sam Durdin and Ben McKay will likely have to bide their time in the VFL at the start of the season. Experienced recruits Jared Polec, Jasper Pittard (more on him soon), Aaron Hall and Dom Tyson all come into the 22. We have left out all of North’s draftees, although Tarryn Thomas and Tom Wilkinson, in particular, have all summer to push their selection cases. At his best, Taylor Garner is comfortably in the Roos’ best team, but the injury-plagued forward is on a modified pre-season program and we’re banking on him being eased into the season via the VFL. Kayne Turner gets the second forward pocket spot narrowly over Nathan Hrovat, while emerging midfielder Luke Davies-Uniacke misses out but should play plenty of senior football in 2019. TEAM EXPLAINED: It’s a new-look Port team after the departures of Chad Wingard, Jared Polec, Jack Hombsch and Jasper Pittard in the NAB AFL Trade Period. Port will be one of the rare teams to field two genuine ruckmen in 2019, with free agency acquisition Scott Lycett and Paddy Ryder both effective targets when resting in attack. Former Hawk Ryan Burton slots straight in on a half-back flank, although the stiff competition for spots in Port’s backline means there’s no room for ex-Lion Sam Mayes, Jarrod Lienert and Matthew Broadbent, who will likely start 2019 in the SANFL after missing all of last season with an ankle injury. Hamish Hartlett, however, is on track to return from a knee construction, while last year’s No.5 draft pick, Connor Rozee, is simply too talented to leave out. After his strong finish to 2018, Kane Farrell is an unlucky omission. TEAM EXPLAINED: It’s much of the same for Richmond’s round-one team, with only three changes from the side which lost the preliminary final. Reece Conca (Fremantle) is replaced by classy forward Dan Butler, who had an ankle injury late in the season. The big off-season recruit, Tom Lynch, slots straight into full-forward, with a slight rejigging of the side – Shane Edwards moving further up the ground – meaning wingman Kamdyn McIntosh misses out. It’s almost a flip of the coin between Brandon Ellis and Nathan Broad, as was the case late in the season. It comes down to opposition match-ups, with Ellis a running defender and Broad a lock-down who allows Alex Rance to roam free. Ellis just makes it on disposal ability. With all of Richmond’s draftees being midfielders, none is able to break into the well-established Tiger engine room. 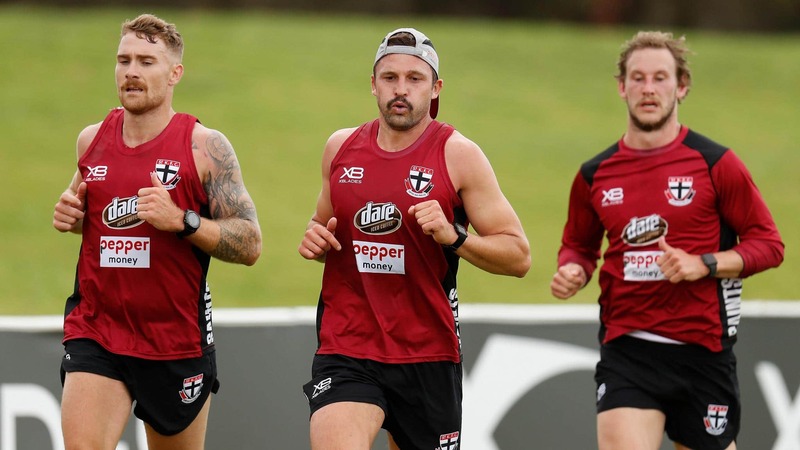 TEAM EXPLAINED: The Saints can probably afford to play with three key forwards, given they have some strong pressure players in Jade Gresham, Jack Billings, Ben Long and Dean Kent helping out inside 50. Jack Lonie is in reserve, but will be called upon given his impressive end to last year. Young trio Josh Battle, Max King and Josh Bruce narrowly miss out, but will earn their opportunity at some stage in 2019. Logan Austin plays round one in place of the suspended Nathan Brown down back, while Luke Dunstan and David Armitage narrowly miss out due to the raft of inside midfielders already at the club. Don’t be surprised to see mature-aged draft picks Matthew Parker and Nick Hind get their chance early in the season. TEAM EXPLAINED: The back half remains stable as always, and with Callum Mills to split his time between defence and the midfield, he starts on the bench. Lewis Melican will eventually push for a spot but coming off knee surgery and his hamstring issues, he’ll have to wait. Veteran Kieren Jack is the unluckiest player here, with Harry Cunningham, draftee Nick Blakey and recruit Ryan Clarke preferred on the bench because of their versatility. Callum Sinclair excelled as the number one ruckman this year so deserves his chance again ahead of Sam Naismith, who is working his way back from his ACL. Recent groin surgery means goalkicker Daniel Menzel is unlikely to be ready for round one. TEAM EXPLAINED: Premiership hero Will Schofield is squeezed out of the round-one side by Brad Sheppard‘s return, while Jake Waterman should be gunning for retired sharpshooter Mark LeCras‘ vacant spot in attack given the Eagles like to play six genuine forwards. 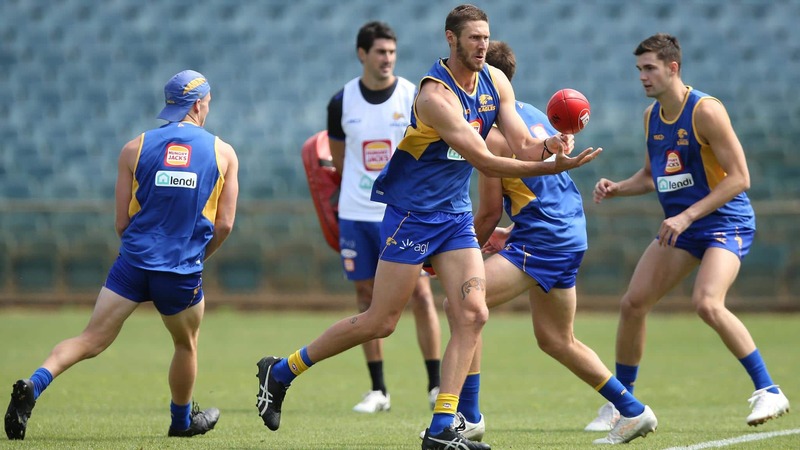 Ex-Saint Tom Hickey gets the nod to support Nathan Vardy, now the lead ruckman after Scott Lycett‘s departure and with Nic Naitanui sidelined until mid-season following his second knee reconstruction. Andrew Gaff is suspended until round three. TEAM EXPLAINED: An experienced backline largely picks itself. Captain Easton Wood and veteran Dale Morris only played three games together in 2018, which opened the door for Aaron Naughton and Zaine Cordy. 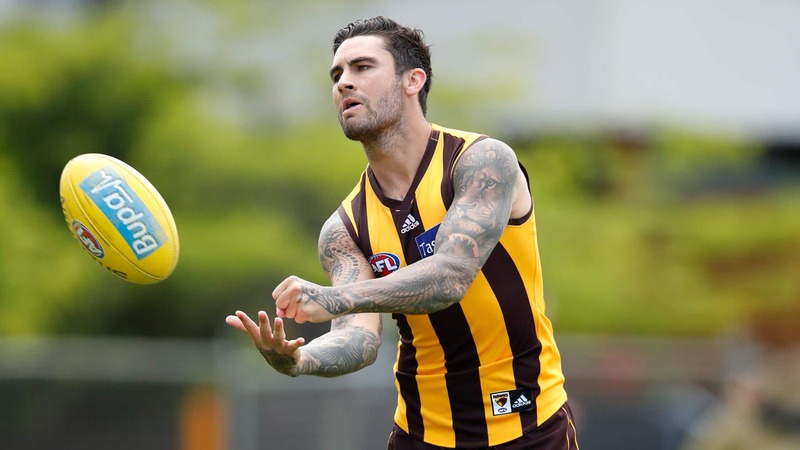 The latter has played 37 games in the past two seasons and should feature, leaving ex-Hawks Matthew Suckling and Taylor Duryea potentially on the fringe. The midfield looks gritty and reliable although could lack genuine leg-speed and elite ball-use. A forward line crying out for goalkickers is likely to demand improvement from Tom Boyd and Josh Schache, while the void left by star half-forward Luke Dahlhaus could be filled by former Tiger Sam Lloyd or the return of Liam Picken from concussion symptoms. The No.1 ruck position looks to be up for grabs between the flexibility of Jackson Trengove and the developing Tim English.